You might have noticed that the website has a had a re-vamp. 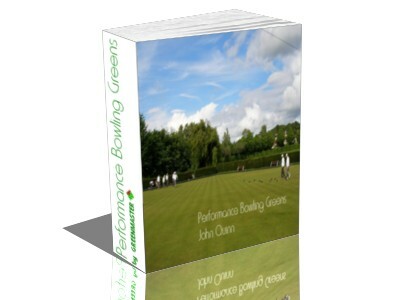 Although this has been in planning for a while we thought we would bring the new site forward to coincide with the launch of John’s new book Performance Bowling Greens, which will be available here from Monday 15th February. There has been a lot of interest in the book this week as John has been sharing some of his insights about bowling green maintenance with us. We would like to thank all of you who have filled out the pre-booking form and apologise for not getting back to all of you personally, but this would have taken too much time out of an already busy week. We have now compiled a list of pre-bookings and will be in touch as soon as the book is available on Monday. Meantime if you would like to be added to the pre-booking list please fill out the form below and you will get priority notice of the book’s availability. We are doing this to try to make sure the site isn’t overloaded with requests on Monday. So have a great weekend and we will be back in touch soon.